What Is Ovarian Reserve? Watch Dr.Jain discuss what it is and what it means for a woman’s fertility. The quantity and quality of a woman’s eggs decline with age. 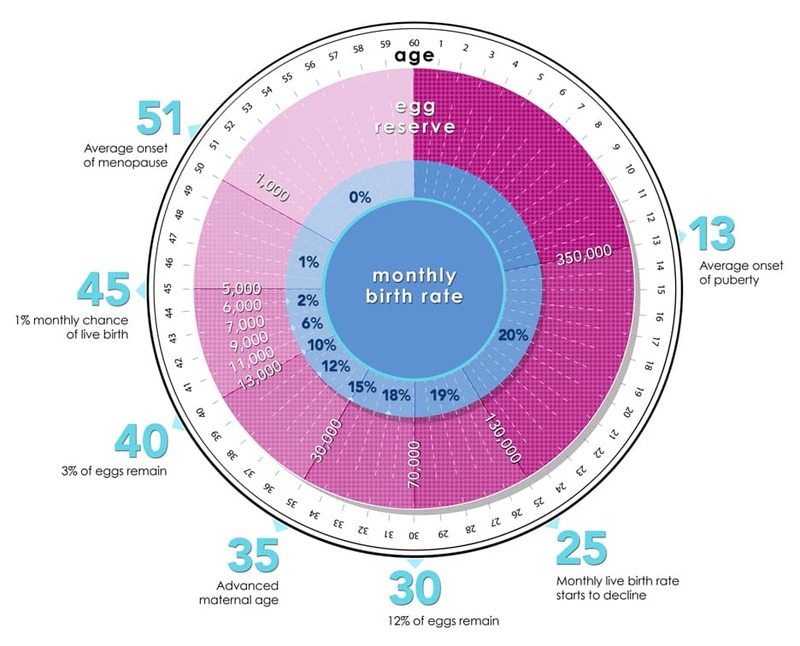 Typically, by age 35 less than 10% of the lifetime egg supply remains. There are several tests that can be used to determine if a woman has fewer eggs than expected for her age (diminished ovarian reserve). Tests used to determine ovarian reserve include day 3 FSH and Estradiol, Anti-Mullerian Hormone and Antral Follicle Count. For an egg to be fertilized and develop into a genetically normal embryo, it must be of good quality. Egg quality cannot be determined with fertility testing, but it is strongly correlated with age. As the egg ages it is more likely to give rise to a genetically abnormal embryo. Usually, such embryos will not give rise to a pregnancy or are miscarried during the first trimester. Thus, as a woman ages, she experiences more infertility or miscarriage. In such cases, egg donation may be considered, as the function of the uterus does not decrease with age and an older woman can successfully carry a pregnancy to term using donor eggs. If you have any questions about ovarian reserve, egg quality, testing, advanced maternal age or fertility, please call Santa Monica Fertility – we are always happy to answer your questions on your path to parenthood.